We are in the #4 earthquake zone the highest risk of all. So when I design your deck I use carefully located 2x6 bracing and back-up 4x4 bracing not just 2x4's which is the minimum standard. We live in the beautiful wine country of Northern California, it just doesn't get much better than this. When we design decks for our area there are specific building practices we follow to keep you safe. When built on a steeper slopes we take even more precautions for the forces on the bracing using steel rods bolted through the posts. The piers need to be placed at a proper depth to the slope, (some require a soils engineer). Steel connections and framing become even more crucial. 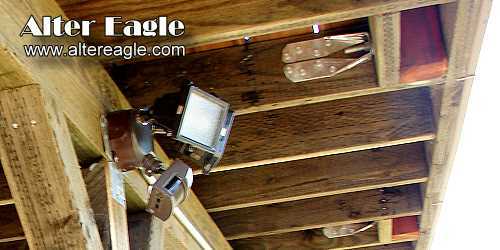 When we have no choice but to attach we use a 3/4 inch steel rod bolted to a connector on the deck joist to the homes structure. It's very important to space this type of connection away from the homes exterior. 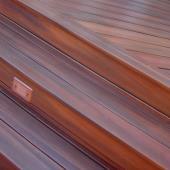 We use a special deck spacer to stop any future decomposition from trapped moisture. With some types of siding we'll add a waterproof membrane and flashing to redirect the moisture. 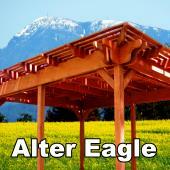 If the budget allows in our earthquake zone we prefer not to attach a deck to the home. 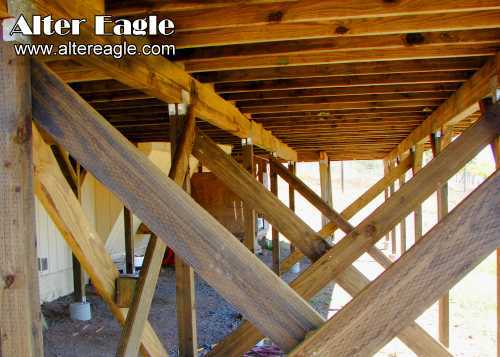 An added beam allows independent movement of the deck, natural expansion and contraction and no possibility of trapped moisture damaging your home over the many years our decks last. Trapped moisture can cause premature decay and attract termites. The new code requires railings to be 42 inches high. 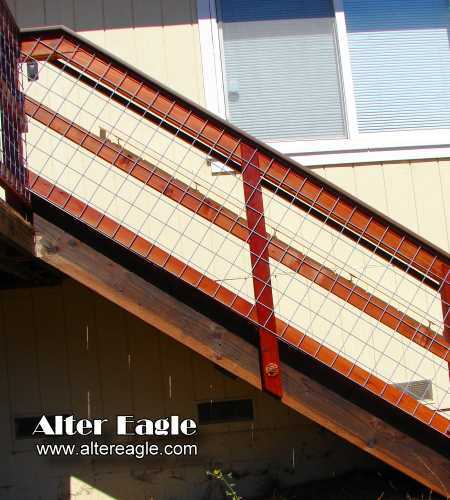 The added height creates a greater force on the railing so the way we connect our railings has become even more important to your safety. We block the railing post then use a threaded rod through the post to a steel connector attached to the joist. 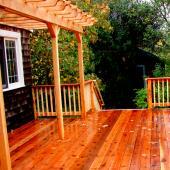 Do not allow someone to only lag or nail a railing post to the outside of your deck! 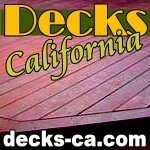 There are two main reasons you need to pay attention to the type of hardware used for your deck. 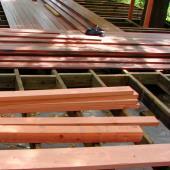 The deck framing treatment uses a high content of copper, that can create an electrolysis and corrode the steel quickly. We are also located near the ocean and with that a higher content of corrosive salt. 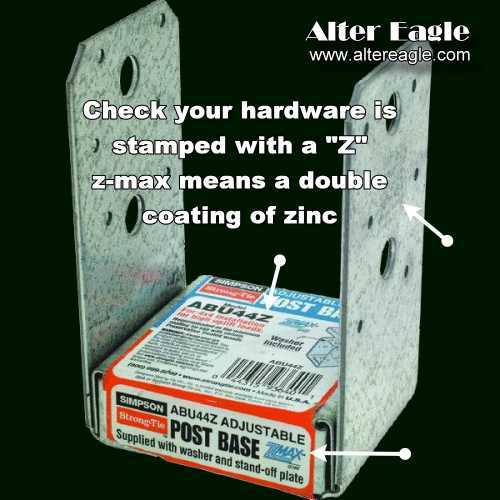 We always use steel that is has two coats of zinc for the extra protection needed and our deck screws are anodized or in some cases stainless steel. 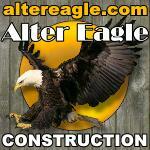 There are grades used for pressure treated lumber. We use a deeper impregnated treatment called ground contact. It typically is a darker color and will last longer than the light treatments found in box stores for example. 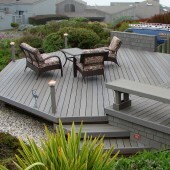 When you invest in a deck you want to know it will last. I calculate the loads put on the deck and use a span and size of framing higher than the recommended for code. The building codes are typically minimum allowable and don't take into account the fact the lumber is in exterior use or the weight of the newer composites. We for example don't use 24" from joist to joist but 16" and under a hot tub we go to 12". We also solid block our decks which make them even more rigid. The concrete piers are the foundation for your deck. 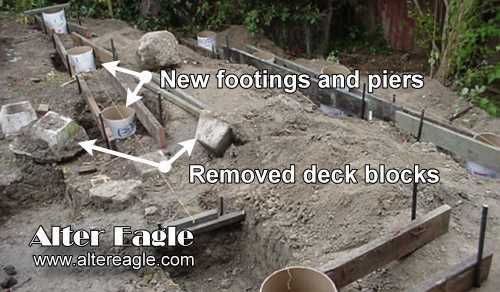 When I determine the load I also look at the location and for decks over 32" high we will go to a larger block of concrete called a footing below the circular pier sized to that load. The pier is what the posts sit on those carry the entire weight of deck. I also always place steel bars vertically and horizontally in the concrete for added strength. We do not use pre-manufactured blocks sitting on dirt or a small amount of concrete. and we take pride in our craftsmanship. That will show in your new deck. Deck stairs use framing members called stringers, we use a double exterior construction with the stringer and larger skirt attached to that. 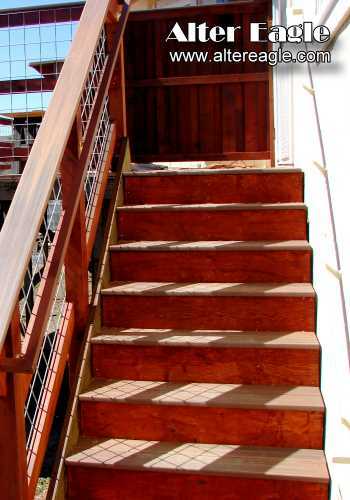 What that does is gives us a rigid stair and a firm connection to the railing which in normal conditions can loosen over time. We then add a closed in riser similar to a professionally built interior stair, that ties the stair together for a more solid construction. 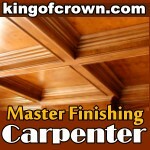 We also add a stringer to the center and each step is within 1/16 to 1/8 of an inch.